My goal is to help my clients surround themselves with spaces that reflect their personal taste and style! 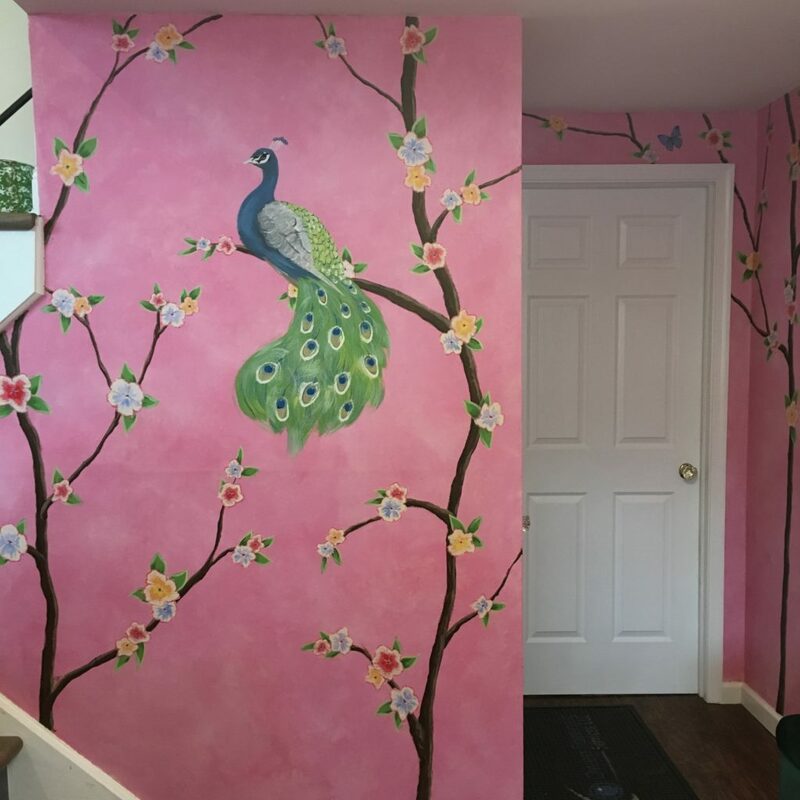 Over the past 24 years, I have completed hundreds of projects, including custom murals in kid’s bedrooms, wall texture painting and faux finish painting projects in New Jersey and New York City. Here are a few of the testimonials that I have received from my clients over the years. I have an Interior Design business and have used Donna on countless projects over the years. I always tell my clients you won’t even know Donna is in your home. She works quietly and very neatly and accomplishes the task swiftly. She’s kind and polite and incredibly talented. She has all kinds of ideas when you tell her what your vision is and is willing to work with you until your dreams become a reality. Her murals and quotes on the wall are fabulous and she’s repainted lots of furniture pieces for clients and transformed them. I would highly recommend Donna for all your specialty painting needs! Donna is the best there is for decorative painting. 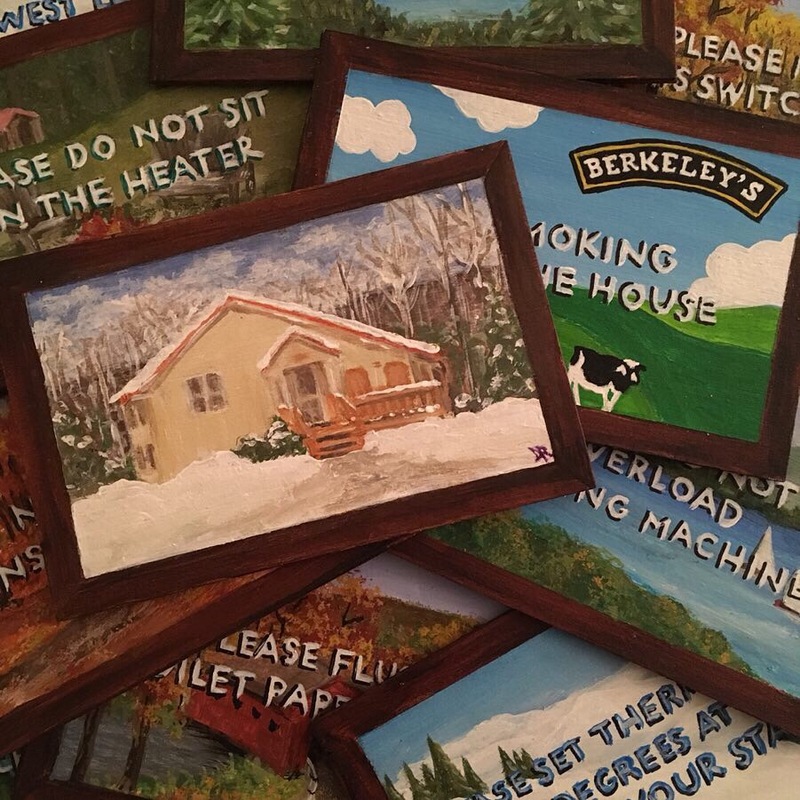 She's painted a variety of projects in my home including murals, faux marbling, shadow stripes, stenciling, antiquing, free-hand borders, wood grained radiators and she even painted a bulletin board to match an antiqued wall. She's talented, pleasant, trustworthy and always prompt and fair. I've recommended her to many friends and all have been happy with her work. Don't hesitate to let Donna do your decorative painting project. She's the best! I want to thank you Donna for the fabulous job you did on our furniture. After the construction, our existing dining room and living room furniture was too dark and did not blend with the new décor. However, once you came in and embellished the chairs, china cabinet and several accent pieces, Wa-la! All the furniture flowed so beautifully that friends thought we bought everything new. We were confident that your artistry would save the day because of our great experience several years ago when you texture painted our kitchen. We love working with you so much that I look for projects that you can tackle. Can’t wait to work together again. I met Donna 17 years ago when she painted my son's room. We wanted a sophisticated train border because he was obsessed with trains. She captured what we wanted perfectly! A few years later she painted a beautiful jungle themed border for my younger son's nursery. By this time, she had gotten to know us so well so she knew exactly what we wanted. Through the years, she's tackled other projects in our house. I always enjoy when Donna is working in our house because she not only does beautiful work, but I love catching up with her. I recommend her highly! My wife and I have used Donna for numerous projects over the past 15 years. She is incredibly talented and extremely pleasant to work with. On one project at our previous home, she painted the wood cable housing for our flat screen TV in faux stone to match our fireplace. The work was so realistic that we actually had people compliment us on what a great job we did at getting the stone on the cable housings to so perfectly match the stone on the fireplace. When we told people that it was not stone -- but faux painting to look like stone, they were in disbelief. The work was incredible! One of Donna's real talents is doing 'surgery' (as she calls it) on existing faux finishes. She able to repair and blend in damaged areas of faux finishes so well that you can't even tell that it was repaired - and she is able accomplish this even if she was not the artist who created the original faux finish. Donna has been fantastic to work with, and we definitely expect to use her again in the future. All we can say is WOW! 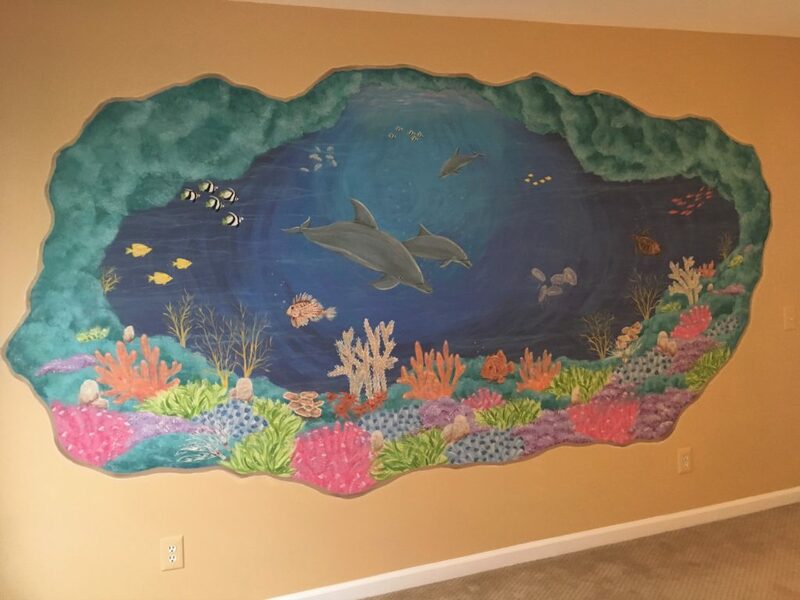 The mural you created from our idea for our beach condo is awesome! You helped take our vision from a photo to a beautiful reality that looks even better than we imagined. This wall gives our condo the Beach view that we wanted. Also, the sea shells and starfish images you created in the bedrooms are perfect and just “pop “off the wall more than a picture could. We also love the room names and art above each doorway. We hope you enjoyed creating this art for us. I’m sure we will have the opportunity to refer you to others who see your work in our condo over the coming years. Thanks again.